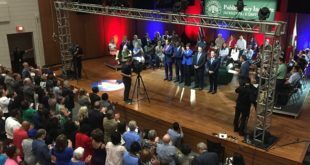 Jacksonville University and WJXT-TV Channel 4 co-hosted Democratic candidates in Florida’s run for the Governor’s Office in a livestreamed town hall discussion. You can watch the full debate online through WJXT. 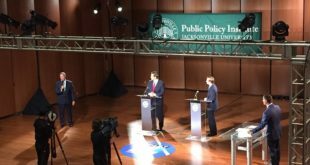 The Jacksonville University Public Policy Institute (the Institute) is no stranger to lively debates between candidates. The Institute and WJXT-TV Channel 4 have co-hosted seven televised debates in local, state, and federal elections since 2015. 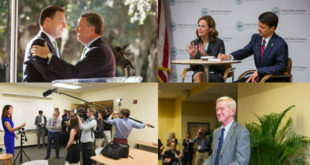 The Jacksonville University Public Policy Institute (Institute) and WJXT Channel 4 announced last week a televised debate and town hall in the Florida gubernatorial primary races, to be co-hosted at Jacksonville University (JU) in early August.